For marketing professionals, measuring return on investment (ROI) is very important. With the right web partner providing useful tools and analysis, measuring ROI with web-based marketing efforts is easy compared to traditional channels. You can also define goals for your website so that it becomes a tool for growth. 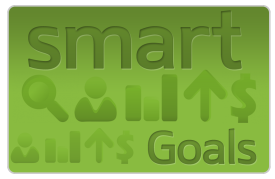 There are two types of goals a business should set: Stretch goals and SMART goals. A stretch goal lives up to its name. It stretches you. For instance, think about where you would LIKE TO BE next year rather than where you think you WILL BE. Do you want to increase your gross sales by 100%? Would you like to triple the number of leads you receive through your website? 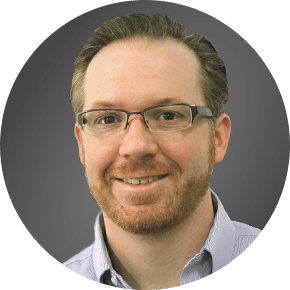 How would like to improve your ROI by 200%? You can have more than one stretch goal, but they must be achievable with extra effort on the part of your team. Knowing what you hope to achieve makes you more efficient and helps you focus your efforts and resources. However, a stretch goal is too big and hard to achieve unless you break it down into manageable, small goals. That is where SMART goals come into play. You should define web goals before designing a website or other web-based marketing tool. Setting goals as an afterthought can lead to extended development time, additional incurred cost, and poor performance. Also by proactively establishing goals, web designers can tailor the site structure in a way that will best help achieve the goals set forth. Planning how to reach these goals is surprisingly simple by breaking down the goal into more easy-to-understand steps. Let’s use XYZ company who sells printing press machinery as an example. Knowing the average annual customer purchase amount, determine how many customers are needed to make up the increase in revenue. Using historical business data, the average rate of converting a perspective into a client can be determined. Let’s say the conversation rate is 10%. Knowing on average that 2% of website visitors will convert into perspective customers, determine the number of web visitors needed. You can also use our online goal calculator to figure out how many visitors and leads you must get to achieve your web goals. 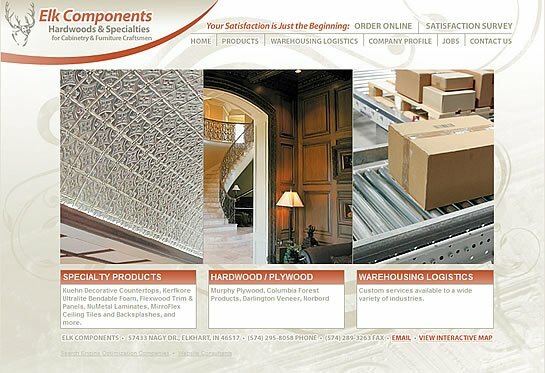 Elk Components wanted a website that would further establish them as a leading hardwood product distributor and provide a way for their customers to purchase online. They asked us to build a website that would further those goals. We did and the new website was a consistent, beautiful presentation that effectively educated customers on their offering. Elk Components valued the new website as one of their most important sales tools for generating new business. 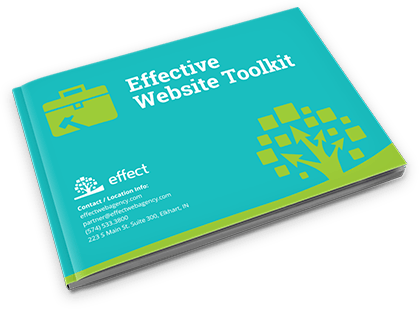 Elk Components chose to partner with Effect because they knew Effect created highly-professional sites with functionality that contributed to goals. The new website showcased their product offering clearly with a widescreen slideshow on the homepage. The user-centric design channeled visitors into the area(s) they were interested in by clearly presenting the three distinct departments of Elk Components. Effect also created a video tutorial that showed customers how easy the new ordering system was to use. A comprehensive web strategy plays an essential role in the overall marketing plan. Not only does Effect create the online experience, we empower companies with tools to track results and measure ROI across all of their media mix.